Aquila Resources Pty Ltd (Aquila) is a privately held resources company with substantial interests in the bulk commodities of iron ore and metallurgical coal. Aquila is an 85% owned subsidiary of Baosteel Resources, the commodities mining and trading arm of Baowu Group, a major Chinese state-owned enterprise and one of the largest steel producers in the world. With approximately 130 thousand employees globally Baowu Group has grown into China's most competitive steel producer with the highest level of modernisation. It has recently commissioned a new steel manufacturing complex in Zhanjiang, Guangdong province, which is expected to ramp up to approximately 10 million tonnes of annual production. Baowu are committed to taking Aquila's projects forward and recognise the potential to create leading resource projects in Australia. The remaining 15% of shares in Aquila are held by Aurizon, which is Australia’s largest rail freight business, transporting more than 250 million tonnes annually. Aurizon owns and operates one of the world’s largest coal rail networks, linking more than 50 mines with three major ports in Queensland. It is also Australia’s largest iron ore haulier outside the Pilbara. Aquila (together with its joint venture partner in the API joint venture) are currently working on mining and logistics infrastructure solutions required to deliver the West Pilbara Iron Ore Project (WPIOP) on a cost-competitive basis. 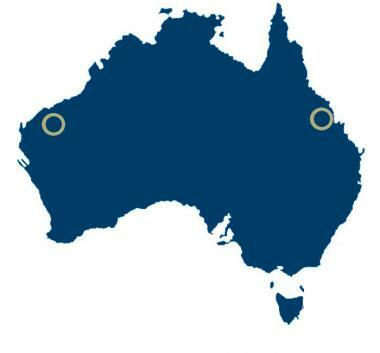 The Project is targeting projection of 40Mtpa of direct shipping iron ore from a new port at Anketell Point in Western Australia's Pilbara region. Simultaneously, Aquila is also working, with its joint venture partner in the Bowen Central Coal Joint Venture, to develop the Eagle Downs Coking Coal Project, a proposed underground longwall coal mine south of Moranbah in Queensland's Bowen Basin. Eagle Downs is targeting production of 4.5Mtpa of coking coal.